With 30 events each year, Texpertise is the world’s largest network of experts for trade fairs in the textiles and clothing segment. The topic of sustainability is becoming increasingly important as the market for environmentally and socially compatible textiles continues to grow. Green marketing is controversial. And can easily lead to the accusation of ‘green washing’. What are the key communication factors for the eco fashion segment? And which concepts are particularly innovative? An overview by Jana Kern. Which green marketing strategies are effective? And how can eco fashion labels help the trade to promote green fashions, to generate enthusiasm for them and to reply to critics? The overview shows that three factors are the key to this: transparency, passing on specialist knowledge and attracting attention. Using innovative examples, Jana Kern explains the special features of the market and presents a selection of interesting concepts and developments. Who invented it? The Namib desert beetle did! A beetle and a desert grass provided the inspiration for the development of an extremely innovative fabric – a material for water catchment. The three-dimensional textile collects fog droplets. And, for example, makes it possible to grow things in desert regions. 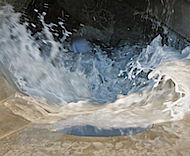 After learning from the desert and the animals adapted for living in that hostile environment, a team of textile and process engineers, naturalists, geo-scientists and solar-energy experts developed an extremely innovative material – a three dimensional textile that collects condensed water and can thus be used to produce water. Called FogHa-TiN, the 3-D material is not only suitable for use in connection with decentralized water supply systems and irrigation, it is also ideal for a variety of technical applications. The experts copied the technology from the Namib desert beetle and a desert grass, and have now been honored with the Techtextil Innovation Award 2012 in the category ‘New Materials’ for this unique development. At Texcare International (5 to 9 May 2012) in Frankfurt am Main, a number of exhibitors are making product presentations as part of the VDMA Blue Competence sustainability initiative. The Texcare Forum will devote an entire day to the subject of sustainability. Sustainable impulses for the international dry-cleaning and laundry sector – Texcare International, the world’s leading trade fair for modern textile care at Frankfurt Fair and Exhibition Centre from 5 to 9 May 2012, will meet the challenges facing the sector with a series of lectures on sustainability by experts from the associations and scientific field at the Texcare Forum on ‘Sustainable Day’ (7 May 2012). Manufacturers who have signed up for the new Blue Competence initiative of the Federation of German Machine and Plant Manufacturers (Verband Deutscher Maschinen und Anlagenbau – VDMA) will present their ranges of sustainable products at the fair. 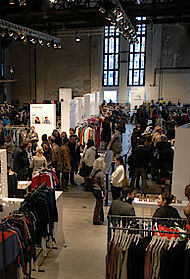 The Ethical Fashion Show Berlin got off to a successful start. Together with the GREENshowroom, it brought together over 60 exhibitors and more than 1,800 trade visitors to create the main platform for eco fashions during the Berlin Fashion Week. Pictures say more than words – video impressions. 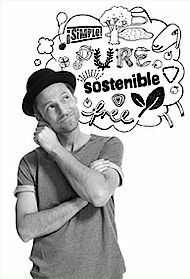 Concentrated information about sustainability from Heimtextil 2012 – lectures from the ‘Let’s talk about’ series on sustainability and green hospitality are now online. The Green Directory, an overview of Heimtextil exhibitors with sustainably produced products, is also available for downloading. The presentations by Textile Exchange, the German Hotel Association (IHA), GOTS and Paul Swan can now be downloaded from the internet. And, for a comprehensive overview of green exhibitors, including their contact detail, the Green Directory is available in digital form. 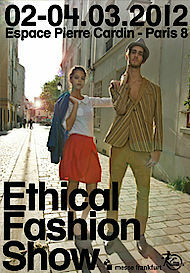 The Ethical Fashion Show in Paris will also be held in the spring beginning this year. 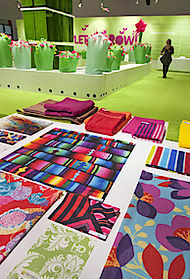 In just a few days, the doors to the first spring event will open at the Espace Pierre Cardin during the Paris Fashion Week from 2 to 4 March 2012. Under discussion for a long time, the decision has now been taken. The Ethical Fashion Show Paris will be held twice this year – in the spring with the trends for the autumn / winter 2013 and in the autumn with the trends for spring / summer 2014. The première of the spring event takes place in just a few days. Parallel to Fashion Week Paris, over 30 eco-fashion exhibitors will present their collections at the Espace Pierre Cardin from 2 to 4 March 2012. 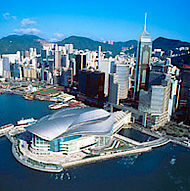 The 6th KarmaKonsum Conference (31 May to 1 June 2012) will take an in-depth look at the subject of common-welfare economics. Top speakers and personalities from the fields of research, politics, economics and culture will meet in Frankfurt. 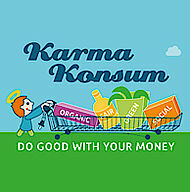 Social, intellectual, cultural and environmental trends and their influence on companies and consumers – this has been the focus of the KarmaKonsum Conference in Frankfurt since it was founded. The emphasis of this year’s conference and networking event will be on the subject of ‘common welfare – a new paradigm in business and society’. Messe Frankfurt is the new Sponsoring Partner. "The market has huge potential!" Brief interview with Laura Ebenberger of Eco Fashion Store Ebenberg in Vienna. Texpertise Network asks the eco fashion trade about the latest developments in the market. Which brands are successful? Which labels are worthy of closer consideration? And how is the green segment likely to develop? We begin this new series of interviews with Laura Ebenberger of Eco Fashion Store Ebenberg in Vienna. Ms Ebenberger, you opened your shop 3.5 years ago. How has the eco fashion segment developed since then? Demand is still much higher than supply. In my opinion, there are not enough labels and shops such as mine to give customers an extensive selection. This is a shame because customers are interested and willing to buy. The market has a huge potential. Planet Textiles teams up with Textile Exchange. Messe Frankfurt and Ecotextile News, the joint organisers of the annual Planet Textiles event on sustainability have joined forces with Textile Exchange to present a major two-day Sustainable Textiles Conference in Hong Kong on 4 – 5th October. More information soon available on www.ecotextile.com and www.textileexchange.org.